It’s entirely possible you have seen our new Definitiv logo popping up slowly. We have been working on the new Definitiv brand and website for the past couple of months, and we are so proud to be able to share it with you. Why did we decide to re-brand? 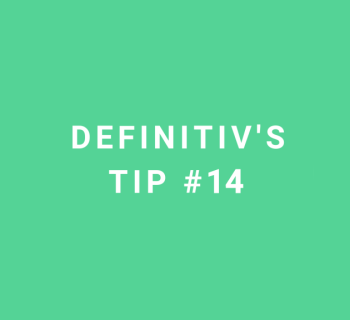 Before starting on our journey of brand discovery last year, not much focus had been put into the Definitiv brand and identity. As we are a young and growing technology company, we have had other significant focuses that had taken priority. The last two years since launching Definitiv have been a whirlwind of growth and excitement for the company. As we continue this growth and expansion, we thought it was the opportune time to make sure we have a strong brand with us. During our brand discovery and workshops, two themes became highly apparent; people and simplicity. To us, when we talk about people, this means everyone in our network; our team, our customers, our partners, the community and all the people using our platform. We are passionate about putting our employees first, caring about their well-being and allowing them to have a voice in the business. 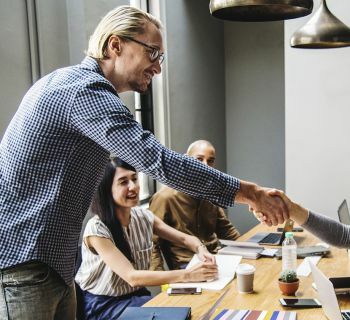 We are driven to offer our customers value and a platform that solves their major payroll and people management pain points. We care about those around us and are active participants in the community. For everyone using our platform, we are focused on providing the best user experience possible. Simplicity is what we strive to offer for both our customers and users. From day one, our Chief Executive, Roy, has been driven to build a platform that was modern, simple and efficient. 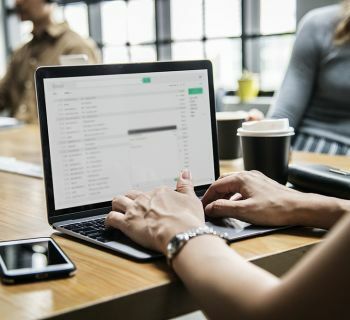 From the web to our apps, it is about providing a superior user experience that offers both value and convenience to the people using the Definitiv product. After going through brand discovery workshops and getting a better understanding of our brand identity and personality, the talented team at Juicebox went away and designed a logo and style that reflected us and what we stand for. We are really pleased with the new logo design, its simple, sleek and represents what we are about. As you can see from the below image, the half crescent represents Definitiv, and what we are building, and the smile characterises who Definitiv is for; people. In the technology space, the most common brand colours are blue, black, white and green. This is also reflective of our competitors in the Australian market with blue and green being the colours of preference. It’s no surprise blue is a favourite as it can be seen as reliable, secure and trustworthy. It is also usually a safe choice. Our original purple logo (shown below) was designed by our dear friend; Dylan McEvoy from Lighthouse. Influencing his choice to use purple, who knew his love for the Fremantle Dockers would end up working to our advantage. Maintaining the purple is also a great way to pay homage to our brand roots. Although the purple still persists, the shade has been updated to a more modern and vibrant variation than before. When will we see the new branding in the Definitiv platform? We have already started to implement the new branding in our product. 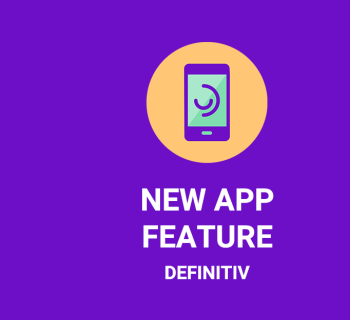 If you are a Definitiv customer, you would have noticed our iOS and Android apps, including the TimeClock, were updated to the new branding style late last year. We will be slowly adding the new brand to our web application this year, starting with switching out the old logo and replacing it with the new logo. We are really excited to begin 2019 afresh. With our new brand, we look forward to continuing our purpose to make payroll and HR simple for everyone.